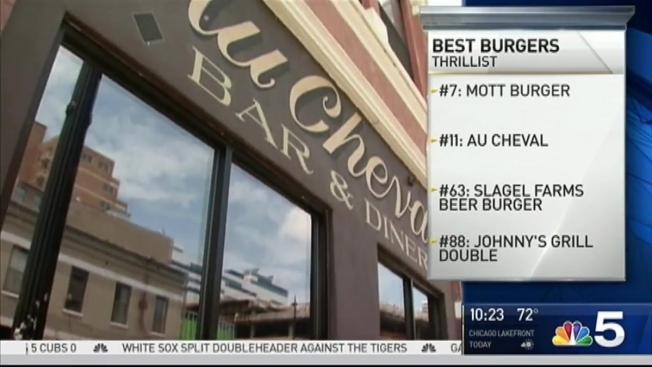 Chicago just added another line in its already impressive resume: Restaurant City of the Year, as named by Bon Appetit magazine. Kramer, a Chicago native, has covered the city’s food scene as a local restaurant critic for years, but according to the magazine, she traveled 35,000 miles and ate more than 1,000 meals in major cities and small towns across the U.S. "in search of the country's best." The answer was in her own backyard. "SF and L.A., this might hurt a little," she writes, "but here’s all the proof you need that the Midwest is best." Among the reasons Kramer says Chicago qualifies as the top restaurant city, she lists: Chicago’s dessert destinations, like Elske; the hidden gem Hanbun inside the food court at suburban Westmont's International Mall; the "new star of Chicago Mexican food" Mi Tocaya Antojería; top-ranked fine dining restaurants like Smyth; amazing neighborhood restaurants like Giant; the reinvented Chicago hotdogs at Fat Rice; "the best cafe in town" Cellar Door Provisions; and solid purveyors of "unofficial city beverage" mezcal like Quiote, Estereo, Mezcaleria Las Flores and Lena Brava. Mayor Rahm Emanuel issued a statement praising Chicago's latest honor, saying, "From the James Beard Awards to today’s recognition, people throughout the world are finding out what Chicago’s residents have always known – the Second City's restaurants are second to none."